The scientists behind experiments conducted by the Curiosity rover are today reporting two results that make the Red Planet’s story even more interesting. One group found carbon-containing organic matter in 3.5-billion-year-old rock. 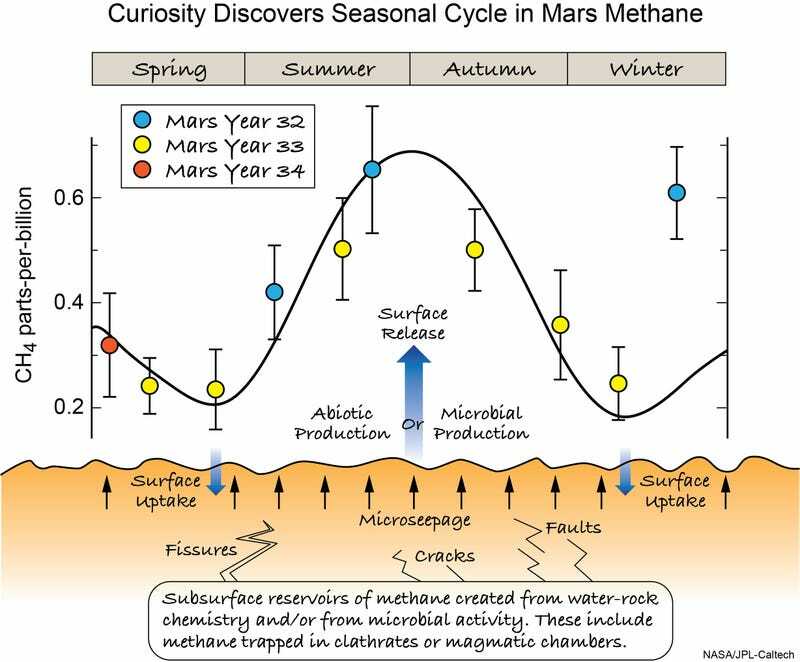 Another noticed the methane levels around Curiosity varied by the season. Combined, these results present tantalising hints of a potentially habitable Martian past.